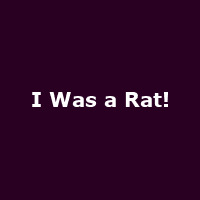 "'I Was A Rat!' insists a scruffy page boy who turns up one evening on the doorstep of old married couple Bob and Joan. But what is he now? A terrifying monster rampaging in the sewers? A money-spinning fairground freak? A champion wriggler and a downy card? Or just an ordinary boy, though a little ratty in his habits? Philip Pullman's glorious and gripping story is brought to life on the professional stage in this show combining humour, fantasy, and adventure. This moving and darkly comic tale slowly reveals its connection to one of the most famous fairy tales of all time. Full of music, fantastic physical performances and unforgettable images I Was A Rat! will surprise, delight and move audiences of all ages."